Chapter 10.6 details the types of agencies operating each type of program, e.g. faith based, private nonprofit, governmental, or community action program. 71.6% of the pantries, 61.8% of the kitchens, and 39.2% of the shelters are run by faith-based or religion-affiliated nonprofit agencies. 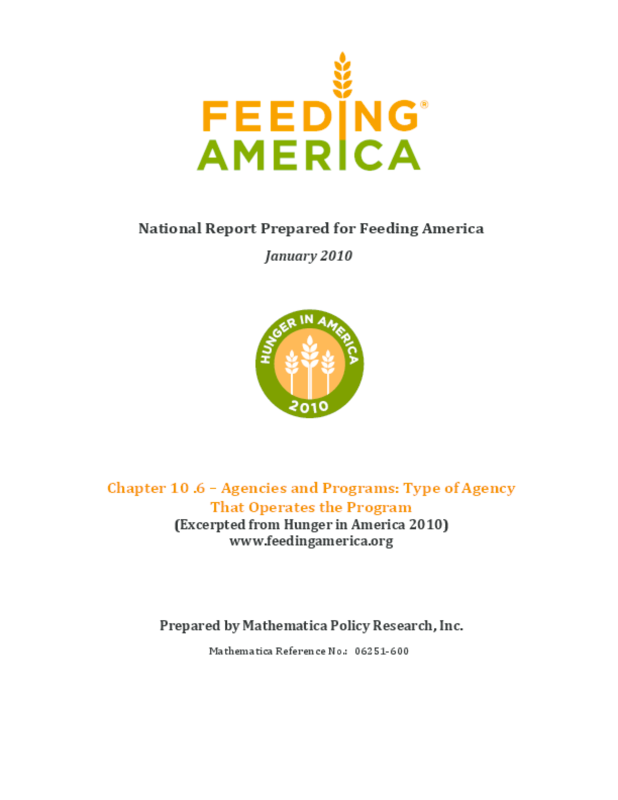 The percentage of pantry programs that are run by governmental agencies is 2.4% for programs in central cities, 1.9% for those in suburban areas (metropolitan areas outside central cities), and 1.9% for those in nonmetropolitan areas.